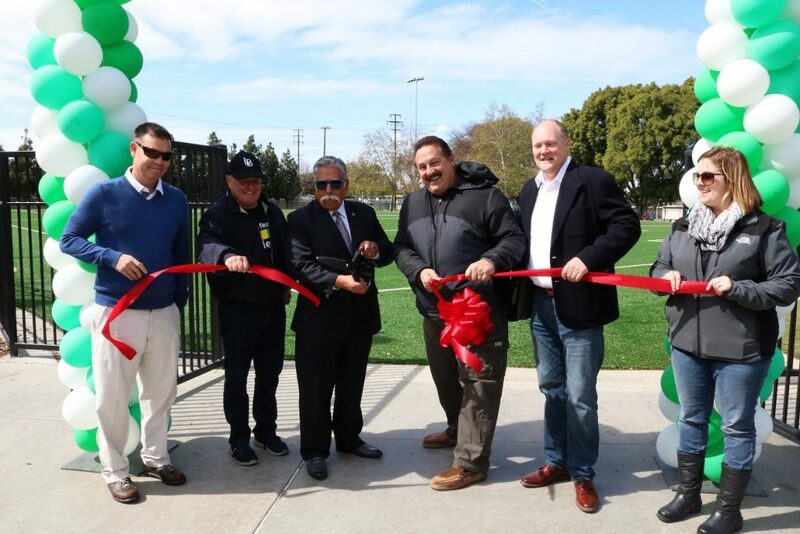 Councilmember Roberto Uranga, local soccer leagues and the Long Beach community were invited to Admiral Kidd Park for the ribbon cutting ceremony of the new artificial turf sports field on Saturday. Uranga said that before the project, the site was nothing but a dirt field subjected to the elements and riddled with potholes and gopher holes resulting in twisted ankles and messed up knees. 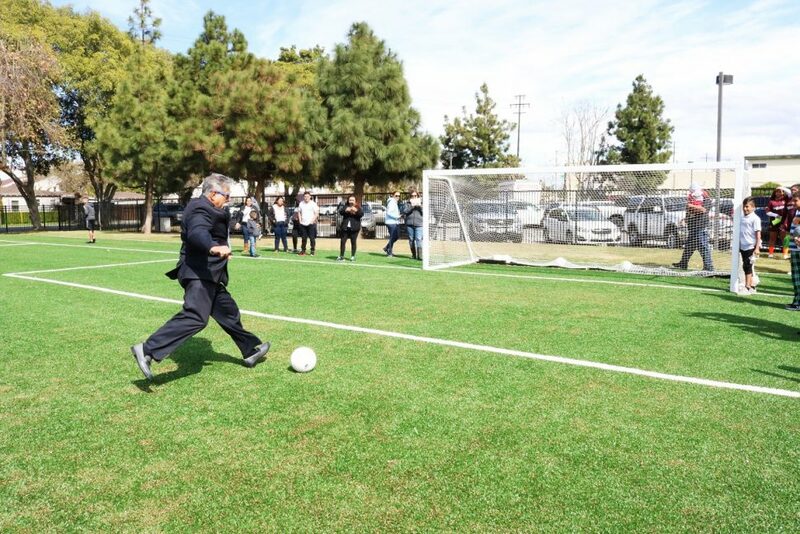 The 1.93-acre sports field contains artificial turf along with organic cork and sand infill. The area includes picnic tables, garbage containers, upgraded drainage and fencing around the field. The construction was managed by the Department of Public Works. The total project cost was approximately $1.9 million and was made possible with Fiscal Year (FY) 14 and FY 15 budget in the Capital Projects Fund in the Public Works Department, stated the release. Uranga said he’s very proud that one of the first artificial turfs to come to Long Beach is in the Westside at Admiral Kidd Park. He believes it’s going to be great for the community and is going to activate the park more so than in the past. 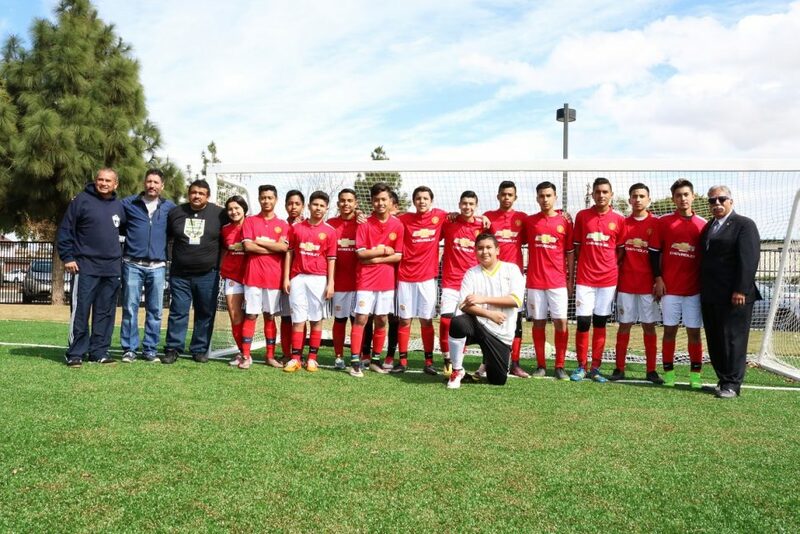 The City of Long Beach Department of Parks invited the Miguel Hidalgo and Cesar Chavez soccer leagues to play the ceremonial first game on the new field. Park Development Officer Meredith Reynolds said the adjacent turf field in Admiral Kidd Park will be taken down next month for rehabilitation and maintenance in order to restore it.